Cities – all cities, not just individual ones – often get an underlying bad rap. Despite the charms of any specific locale, urban areas get tagged with images of crime and grime, even when those images don’t represent the statistical reality of the urban area. That quote, drawn from a larger rant about the cities’ siren song on villagers, opened a recent presentation by Ed Glaeser, the Harvard economist and author of the 2011 book Triumph of the City. Apart from Glaeser’s own thesis, that cities are humankind’s greatest invention, and that they make us “richer, smarter, greener, healthier, and happier,” humankind itself is confirming that victory with its feet (or at least its procreation). More than half of the world’s population lives in cities now; by 2050, that figure will be two thirds. It may take a village, but that village is in a city. That mix of the miserable and the celebratory marked the event where Glaeser spoke. 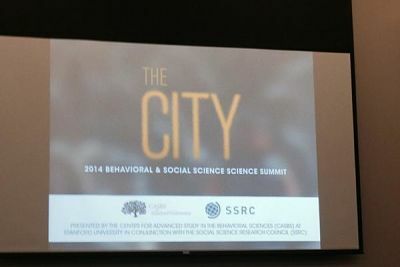 The 2014 Behavioral and Social Science Summit cosponsored by Stanford University’s Center for Advanced Study in the Behavioral Sciences and the Social Science Research Council (both Social Science Space partners) was themed “The City.” It brought a heady mix of academics, entrepreneurs and policymakers, onstage and off, to discuss the current state of the city and more importantly, where good scholarship and wise stewardship can take urban areas. Noguera, the Peter L. Agnew Professor of Education at New York University, received the second annual SAGE-CASBS Award at the summit. He’s shown below being interviewed by SAGE founder Sara Miller McCune, a talk in which he suggests that speaking to the broader public – with scholarship in hand – through, say, an op-ed in a newspaper like the New York Times or Wall Street Journal, its currency and splash is greater than a white paper making the same points. But the summit’s real voice in the desert was that of Tony Hsieh – not a professor or a policymaker. Hsieh is the founder of the colossally successful online clothing site Zappos.com. And while he did mention Zappos – did you know the No. 1 request from employees when it moved into its current digs was for doggie day care – he wasn’t here to shill his shoes. Instead, he outlined the theory of collision that guides that office and that permeates his personally funded redevelopment experiment in an overlooked (but hip) corner of town. Our goal and purpose is to help make downtown Vegas a place of Inspiration, Entrepreneurial Energy, Creativity, Innovation, Upward Mobility, and Discovery, through the 3 C’s of Collisions, Co-learning, and Connectedness in a long-term, sustainable way. The project has received some fawning press, although recent headlines have focused on layoffs and closures: “Zappos Chief Loses a Las Vegas Bet.” Nor was his professorial audience wasn’t sold on his charismatic vision – where are the old people? What role does government play? – they did seem intrigued with watching a real-time experiment that aimed to rewrite some of the cities’ age old bad rap. 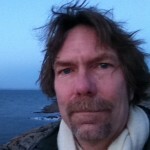 This entry was posted in Interdisciplinarity and tagged CASBS, SSRC, Urban Issues. Bookmark the permalink. Post a comment or leave a trackback: Trackback URL.